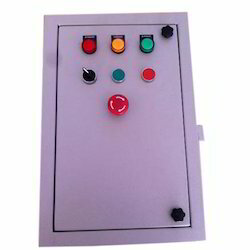 Being an established manufacturer, we are engaged in offering a comprehensive range of Motor Control Panel. Our offered product is well known for its easy installation. 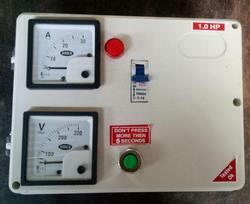 We have been counted as a major firm offering high performing Submersible Pump Control Panel. The offered panel is gaining huge acclamation for its robust built which is best suited for rugged handling in the agricultural sector. Designed especially for operating submersible pumps, the offered control panel comes with overload protection and industry compliant MCBs. Further, we are providing the highly reliable control panel with quality tested components and control wiring at the best price in the segment.